muscle building properties (that’s why those bodybuilders and sportsmen drink those protein shakes). Including protein in your daily smoothie cannot be simpler than ever. Protein, carbohydrate and fat are the three major components in our diet. All of them has their own functions and benefits to our body. I strongly suggest that everyone has a balance diet involving all these three. Carbohydrates are the main energy block for our body while fat is essential for our brain, nerve systems, hormones and cell synthesis. But what about protein? There is a lot of benefits of protein to our body. Protein consists of various amino acids, substances that are used for multiple functions in our body. They are used a building block for our body from head to toe. Apart from muscle building, protein also acts to increase energy level, help in bone and joints rebuilding and repair (very important because as we age, our joints and bones are deteriorating). Protein also helps in wound healing and can stabilize blood sugar level. It is recommended to take around 60 grams of protein per day. Meats such as beef, lamb, chicken and also fish can contain up to 20 grams of protein per serving of 3 oz. In a modern setting, it is unlikely that someone can be deficient of protein (unless you are starving yourselves). But if you are bodybuilding, or into sports, or just would like to lose weight using smoothie, then a supplement of protein in a smoothie is something that you need. As said earlier, there is no reason for you to be lack in protein if you are eating the typical 3 meals per day. Heck, most of us will get more than than. But if you are looking to increase your protein intake for sports purposes, than a protein smoothie is the way to go. Bodybuilders typically require 100++ grams of protein per day, more so if they are very big. Thus, it is a bit difficult for them to continuously cook and eat all those meats and chickens. A protein smoothie is the best alternatives for these guys. For those looking to lose weight, a protein smoothie as a substitute for your breakfast is just perfect. It is low in calorie, and is a complete meal from nutrition point of view. What is a protein smoothie? Basically it is a smoothie with ingredients that is rich in protein. Such ingredients can be protein powder (whey or plant based), milk, yogurt, kefir, chia seeds and goji berries. Simply use these ingredients inside your normal smoothie recipe and you will have a delicious protein packed ready. 5) Extras – honey or stevia as natural sweetener. You can also put other items such as chia seed, flax seed, nuts, etc. to increase the nutritional value and taste of your smoothie. Finally, put all of these ingredients in a blender and blend. So easy right? The difference between protein smoothie and protein shake is the fruit and vegetable ingredients. 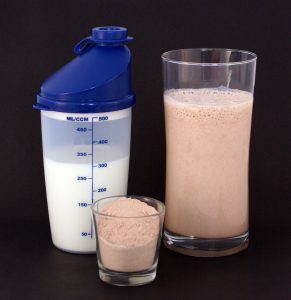 In a protein shake, you will use protein powder and milk as its base ingredients. For protein smoothie, fruits and vegetables will be our main ingredients (as noted in my How To Make A Smoothie post), while the protein will be an added ingredient. Personally I believe protein smoothie is the better of these two. 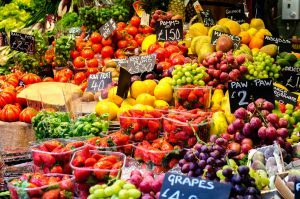 The primary reason is the benefits of fruits and vegetables in regulating the blood sugar spike. Protein shake will have all those sugar from the milk which will cause huge spike in our blood sugar. With a smoothie, the fibers inside the fruits and vegetables will reduce the sugar absorption into our blood, thus reducing sugar spike. This in turn will reduce our insulin release and help to reduce diabetes risk. You will feel full more because of the fiber and will not experience any fluctuating energy level because of sugar spike. For bodybuilders and sportsmen, the vitamins and nutrients in the fruits and vegetables are a bonus. Vitamin C is one of the best vitamins for them as it can aid in muscle recovery and growth. It can help collagen formation that is vital to keep our joints healthy even though in the face of repeated stress in the lifting room. Vitamin A is important for healthy vision and bone growth. It is also need for optimum cell reproduction and differentiation. The huge number of vitamins and minerals in fruits and vegetables will surely bring your post-workout protein drink to a new level. 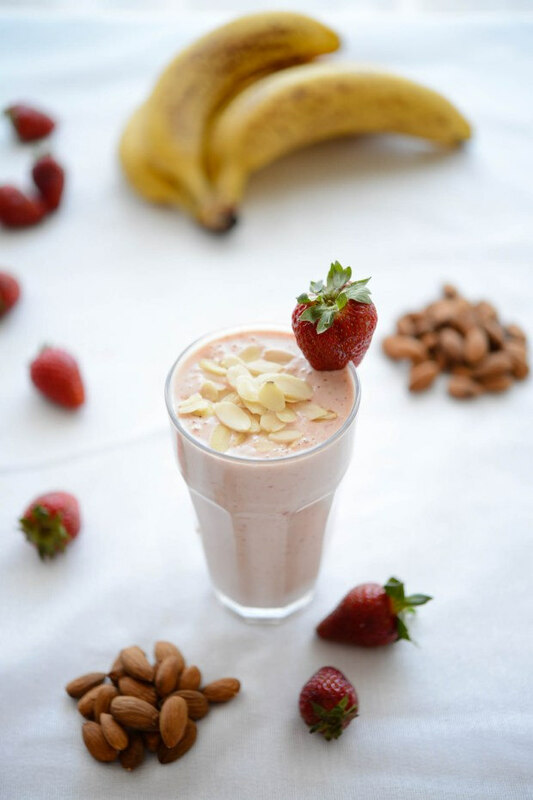 Protein smoothie is very beneficial for those wanting to supplement their diet with additional protein (bodybuilders and sportsmen) and for those looking for a meal substitute to lose weight. Low in calorie, but high in protein and nutrients make it something that you should consider. Give it a try and don’t forget to put your comments down below. Thanks for reading!